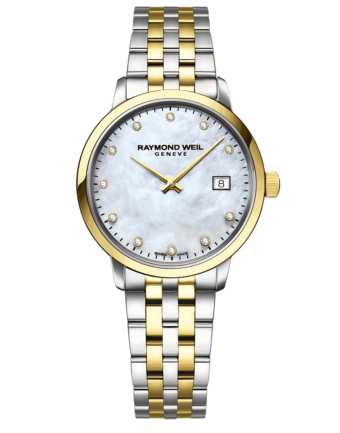 RAYMOND WEIL is now offering complimentary case back engraving at raymond-weil.us. 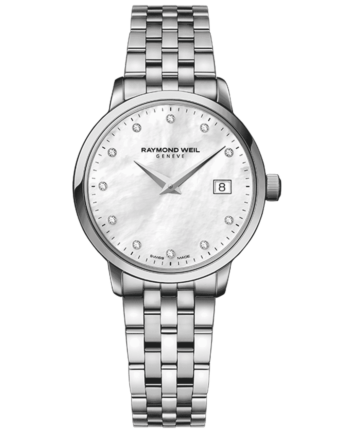 Personalize your RAYMOND WEIL timepiece or offer a symbol of appreciation to a special someone at no additional charge to you. Simply enter your personalized message below, add to cart, complete purchase, and receive your order within 4 weeks. 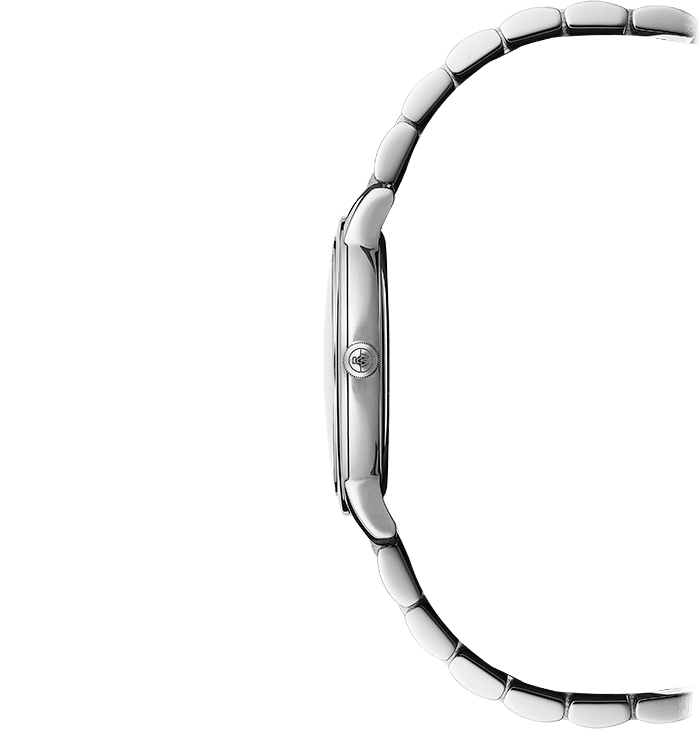 Please note: currently engraving is only available for steel case backs and is not applicable for sapphire crystal case backs such as freelancer and the maestro. 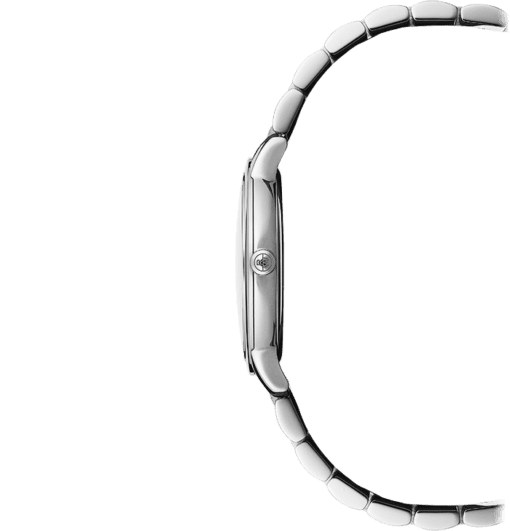 For sapphire crystal case backs you may select the reverse imprinting option. 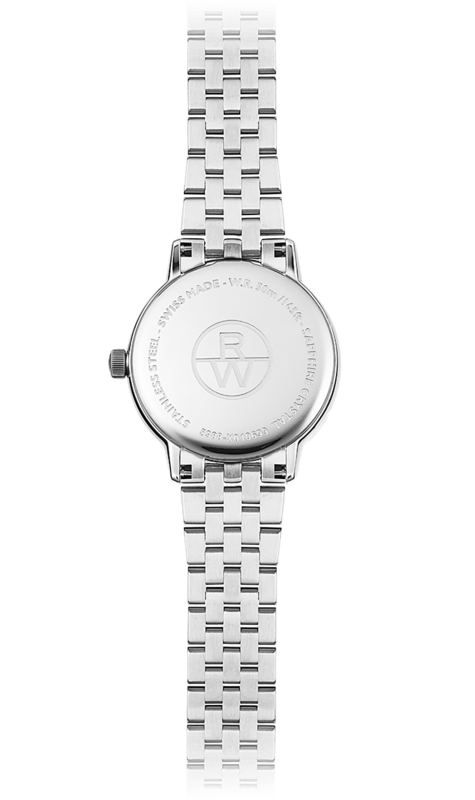 Custom engraving takes approximately 4 weeks from date of purchase to ship. All customized orders are final sale. 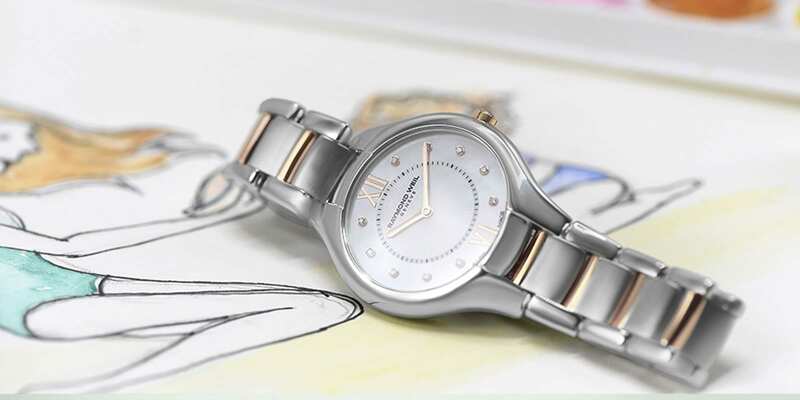 This toccata ladies’ classic steel quartz watch has a traditional character. 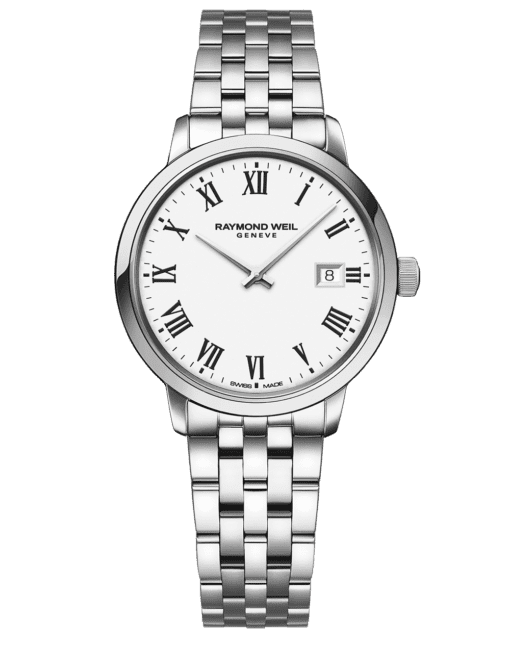 The white dial offers black Roman numerals and a date function at 3 o’clock. 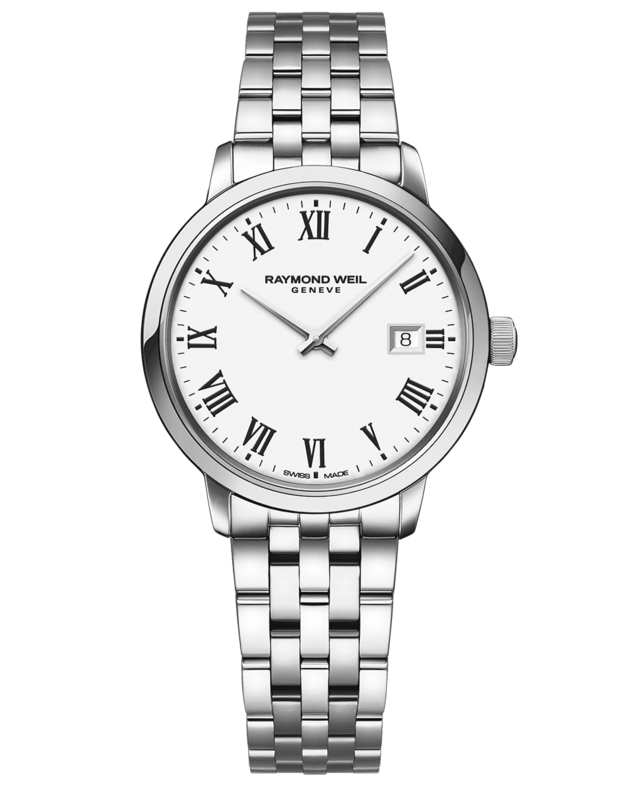 The uncluttered beauty of this toccata watch is timeless.